Football season has begun and you know what that means! A lot of us will be glued in front of our HD TV screens watching and cheering on our favorite football teams and Fantasy players. Sipping on an ice cold beer can really enhance the viewing pleasure though while your favorite team and players score lots of touchdowns. Beer comes icy cold right out of the refrigerator or the cooler. Wait 5 minutes and unless you have polished off your beer, it will start to become warm. 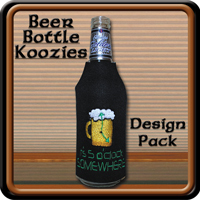 With that thought in mind imagine your beer being kept ice cold in a nice form fitting Koozie, and better yet having a humorous beer saying embroidered onto the side of it. 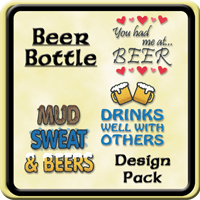 If this sounds like a plan then please check out Starbird Stock Designs Beer Koozie and Beer Bottle Koozies Design Packs. 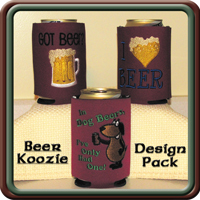 There are free step by step instructions available on how to make these Koozies for cans or bottles which can be found in the download information links on Ann the Gran for each respective pack. 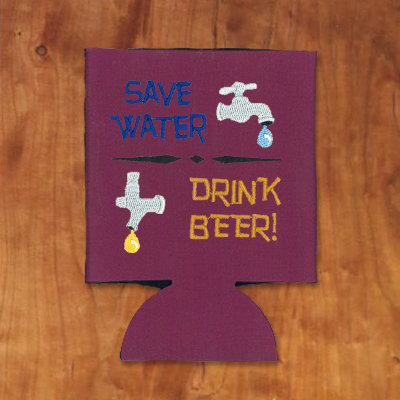 If you are interested in having Starbird cut the Koozie material for you please email them at designs@starbirdinc.com. 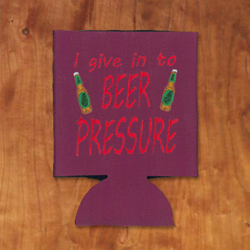 These Koozies are great gift ideas! 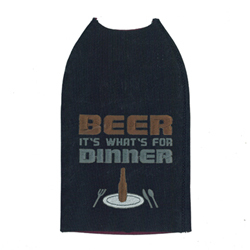 The Koozie packs come with the beer sayings on them, but if you would like to sew just these sayings on other things, we have 2 separate packs that you can do that with called Beer and Beer Bottle. 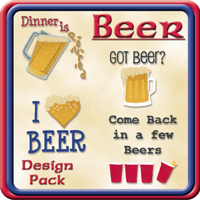 All 4 of these packs will be 50% off for a short time only so please make sure to get your Koozies completed so you can enjoy your next football game in style. Good Luck with your favorite team this football season! 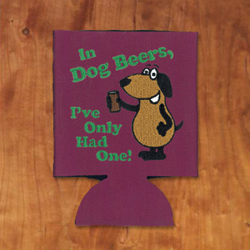 I believe these are just designs that you stitch out on Koozie blanks. Reversible Applique Towel Keeping It Simple - Is it a Snake or a Caterpillar?